There are two reasons why the WTI oil price is up today. The main reason is the rebound in China's stock market, which saw its biggest one-day gain in six years. The other is the delay in a deal with Iran over its nuclear program. The WTI crude oil price today surged above $61 in morning trading on declining inventory data. 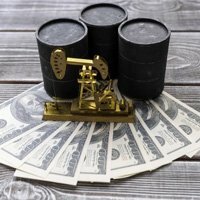 The rise in oil prices came after the American Petroleum Institute (API) released a bullish weekly supply report.